The tech world has been abuzz since The New York Times article on Amazon’s work culture came out last week. The expose describes a performance first culture with little to no care for the toll it puts on employees and their families. One former employee said he has seen every person he works with crying at their desk at some point. Every age group is constantly worried that they will be replaced by someone younger who can put more time into the job. One manager admits to working 80-85 hours a week with few vacations. Turnover is high and expected. One worker says that people are seen as fungible, easily replaced by someone younger and hungrier. The interesting part – it’s working. 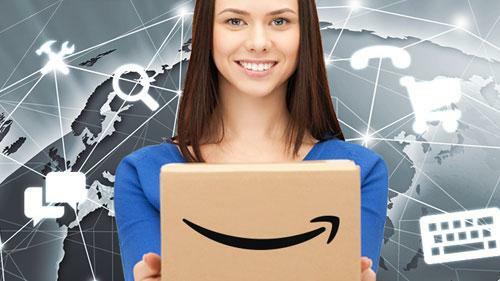 Amazon is more successful than ever. They are currently adding enough office space for 50,000 employees, more than triple what they had in 2013. It’s difficult to criticize a business model that is moving up and to the right. As long as customers are satisfied, profits are coming in and brand recognition is growing, why change? It would be easy to point fingers at Amazon as an example of how the corporate world does business, but if we’re not careful, this could quickly become the picture of the local church. Just because we’re “selling” the good news of the Gospel and not howling wolf t-shirts, doesn’t mean the temptation to push for results over people is not there. Amazon’s founder and CEO Jeff Bezos’ first public comment after the article came out was that he did not recognize the company in the New York Times article. It’s actually not a surprise that he is confused. The last people to recognize a poisoned culture are usually the one’s who help create it. Jeff and his leadership team are obviously removed from the negative effects of their policies. As long as things are moving forward, their lives are relatively unchanged. If pastors of fast-growing churches are not careful, they can slowly build the same kind of buffer to reality. On the one hand, you want your pastor to be free from a lot of the day-to-day operations of the church so they can focus on what they do well. On the other, they can be so far removed that they miss the culture shifting out from under them. The leadership has to work hard to stay in touch with how the drive for better is effecting the souls of the people getting them there. It is much easier to hire a leader instead of develop one. Developing an employee means putting in the hard work of walking alongside them through the inevitable mistakes and growing pains. Who has time for that when Sunday comes every 7 days and things have to get done? When a staff member has hit a ceiling of growth, the quick solution is to manage them out and bring someone with more experience in. You can see where that cyclical pattern is headed for Amazon. Everything is great as long as people still want to work there, but it will eventually end. We have to put the time and effort into intentional leadership development. Not everyone will make all of the turns on the pipeline, but they need the tools and training to go as far along as they can. The short-term pain of developing people always pays off in the long-term. I can almost guarantee we would have already known about Amazon’s toxic culture if the company was sliding. Someone would have pointed to the glaring issues and said there is something obviously wrong here. But, nothing has changed because everything looks great at the bottom line. Growth can cover a litany of sins. It’s only when the growth eventually stops (and it will) that we start surveying the damage caused along the way. It’s true that healthy things grow, but it’s also true that disease can grow and spread just as fast. Different metrics have to be put in place to make sure what is growing is healthy. It’s not worth it if your growth is ultimately killing your staff. Instead of just taking down the Sunday numbers, take the time to figure out – what is driving our staff culture and how can we measure it to make sure we’re healthy?